The Hearing Protection Act. It’s all the rage these days in firearms circles along with national reciprocity. It is holding steady in the Top 10 of congress.gov’s most viewed bills. So, what is it? This bill amends the Internal Revenue Code to: (1) eliminate the $200 transfer tax on firearm silencers, and (2) treat any person who acquires or possesses a firearm silencer as meeting any registration or licensing requirements of the National Firearms Act with respect to such silencer. Any person who pays a tax on a silencer after October 22, 2015 may receive a refund of such tax. The bill amends the federal criminal code to preempt state or local laws that tax or regulate firearm silencers. In a nutshell, if this bill becomes law, the onerous process of purchasing a suppressor becomes moot. No longer would people looking to purchase a suppressor be subject to the time-consuming process of the National Firearms Act. Suppressors would be treated like normal “Title I” (pistols, revolvers, most rifles, etc…) firearms and could be purchased and taken home the same day after the standard federal background check. Also, the $200 tax on suppressors will be nullified. People who purchased a “can” after October 2015 (the month the bill was drafted) will be eligible for a refund of their tax monies. Facts about suppressors, or “silencers”. Suppressors don’t completely silence a firearm. The most effective suppressors on the market reduce the decibel level of the gunshot as measured at the muzzle by around 30-35 dB at the maximum. The 160 dB report of a 5.56mm round gets knocked down to about 130 dB at best. Still loud, but much safer for your hearing, especially if you are already wearing hearing protection. Furthermore, they do not muffle the sound of the weapon’s action, nor the supersonic crack when the projectile breaks the sound barrier downrange. You still know a gun is being fired. Suppressors were rarely used in crimes prior to being included in National Firearms Act. After the Act, their use in crimes remained at that infinitesimally low level. Why they were included in the Act is still a subject of debate. In the context of crime, improvised suppressors aren’t terribly hard to fabricate. One can be made from plumbing components and a car oil filter. The incidence of improvised suppressors being used in a crime is statistically insignificant. Criminals prefer portability and disposability, and hence will use a common handgun. A suppressor adds bulk and complexity. Not something a criminal desires. In other nations where they are legal for civilian use, they are treated as any other firearm is in that nation. For example, in the UK, the process for acquiring a suppressor (or “moderator” as they call them) is the same as acquiring a shotgun. In New Zealand, suppressors are over-the-counter items, treated the same as if you were purchasing a new stock or grip. In those nations, suppressor usage is considered a form of good manners, rather than a borderline criminal act. On a practical level, suppressors do increase accuracy. The operator isn’t as startled by the blast of the firearm, and the weight of the suppressor does help counteract recoil and muzzle rise. The Hearing Protection Act does not completely remove suppressors from the background check process. As a matter of fact, the background check process remains the same. Simply put, when you purchase a suppressor right now, you are subject to a federal background check, the same as if you were purchasing a pistol. The “delay” comes from the ATF having to process (by hand) the associated paperwork for the trust and trustees, i.e. the Form 4. Suppressors are popular items these days, and each purchase has to be processed. Multiply that by tens of thousands and there is your delay. The delay is not due to a “special” background check, it’s mere bureaucracy. Thus, the requirements of “public safety” are more than satisfied. If the HPA is passed, a whole new market for entrepreneurs opens up. Right now, extra licensing from the federal government is required to produce suppressors for resale. With suppressors being treated like normal firearms, a whole new opportunity for business becomes realized. The bill may pass, but it’s still a long road. As of this writing, the HPA has been referred to the Subcommittee on Crime, Terrorism, Homeland Security, and Investigations. This subcommittee will determine if the HPA should be heard by the Judiciary Committee. From there, the Judiciary Committee determines whether it should be put to a vote by the House. A companion bill in the Senate must also be produced and reconciled with the House version. There’s a compromise in there, and also a sacrificial goat. The compromise is keeping suppressor purchasing under the background check system. Even though suppressors are mere mufflers, and their use in crime is a non-issue, the Hollywood machine and the blowback from the misinformed members of the public with a progressive bent have demonized suppressors as the “tools of assassins”. Enterprising suppressor manufacturers and advocates are looking to change that outlook, by bringing members of Congress to suppressor demonstrations and showing them the benefits. This tactic has worked at the state level, for example in Iowa, where Governor Brandstad attended suppressor demonstrations and subsequently signed the bill legalizing possession of suppressors in his state into law. The sacrificial goat as it were is the refund clause. Right now, as it stands, anyone who purchases a suppressor between October 22nd 2015, and the date the bill becomes a law is eligible for a refund of their $200 tax payment. However, the government does not like to leave money on the table, so I have a feeling this clause will be stricken from the bill before it is enacted. Contact your members of Congress. Even if they are Democrats, making noise about the HPA can only help. You can look up who your representatives are at whoismyrepresentative.com. I recommend not using a form letter, but instead composing your own personal message. Typically their systems and aides will screen out preformatted messages. Keep it simple, cite the relevant regulations and the information I’ve talked about here, and most of all, be polite. You might get shut down, but you might not. You can also lend your support to the NRA-ILA and the American Suppressor Association. 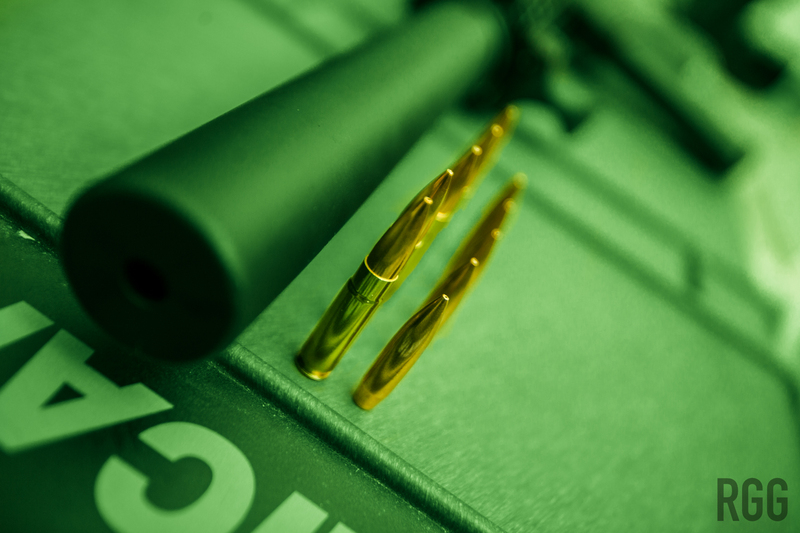 Both organizations have successfully reformed suppressor legislation at the state level, and are well-positioned to do so at the national level. If you own a suppressor (or two, or three…) it won’t hurt either to take your non-suppressor and non-gun-owning friends out to the range to enjoy a day of shooting suppressed. They’ll be amazed at the difference. Educate them on the technology and the issues. Popular support cannot be underestimated. The path to victory will not be easy, but if we work together and make our voices heard, we will ultimately prevail. I look forward to the day when we are no longer taxed to protect our hearing while exercising our Second Amendment rights at the range, and in the field. Together, we can ensure that future generations of shooting enthusiasts will no longer have to sacrifice their hearing.